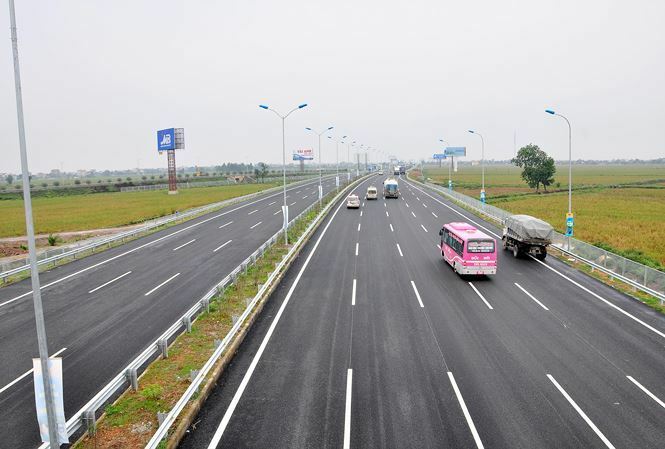 VietNamNet Bridge - International institutions have predicted high GDP growth rates for Vietnam in 2019, but do not expect them to be more than 7 percent. The latest report from the Institute of Chartered Accountants in England and Wales (ICAEW) predicts that Vietnam will see GDP growing by 6.7 percent in 2019 before the growth rate falls to 6.2 percent one year later. The report about Southeast Asia says the economic growth of the entire region will decrease slightly by 0.3 percentage points to 4.8 percent. The major reason behind the forecast is the strong rise of protectionism around the globe and the demand decrease from China, which will lead to a lower export growth rate. To give the regional economy a push, ICAEW mentioned domestic demand and fiscal policy loosening. According to the institution, regional economies have shown signs of growing more slowly because of the decline of global economic activities since late 2018. In December 2018, the export growth rate in Southeast Asia decreased by 2.3 percent compared with the same period last year. A further 0.1 percentage point decrease has been predicted for the regional economy in 2020, or 4.7 percent, because of the continued obstacles in exports. As such, Vietnam is predicted to obtain a GDP growth rate of 6.7 percent in 2019 and 6.2 percent in 2020, lower than the 6.8 percent rate the government of Vietnam has targeted. Meanwhile, Vietcombank Securities predicts that Vietnam will see a 6.6-6.8 percent GDP growth rate this year thanks to exports. Foreign invested enterprises (FIEs) will continue making the greatest contribution to the export growth. The institution forecasts an inflation rate of 4-4.5 percent, saying that the consumer price index bears pressure from the scheduled public service price increases. ADB also predicted a high GDP growth rate for Vietnam, 6.8 percent, for 2019. The World Bank has found from its studies that Vietnam’s economy has been stable despite negative factors from outside. However, as a part of the world’s economy, the 90-million people economy would see GDP growth slowing down in 2019 and 2020 to 6.6 and 6.5 percent, respectively. ANZ has predicted 7 percent growth rate in 2019, saying that Vietnam would have certain benefits from the US-China trade war. However, ANZ warned that Vietnam would face great challenges in the short term. It needs to gather strength to curb the inflation rate and prevent credit from growing too sharply. NCIF (the National Centre for Socio-Economic Information and Forecast) gave the most optimistic prediction, saying that GDP may grow by 6.9-8.1 percent in the next period. The government has expressed concern that the GDP growth rate in Q1 was lower than expected. However, Vo Tri Thanh, a respected economist, said it was not a big problem. “The world’s economy is unpredictable,” Thanh said.